Challenges Facing Today’s Aerospace Electrical Wiring Harness Manufacturers. Sam Symonds, President and CEO of Co-Operative Industries, describes how his company has responded to challenges and changes within the aviation industry at the manufacturing, MRO and automated testing levels. 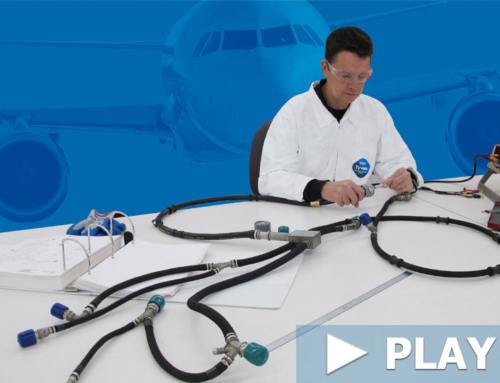 With over 63 years of design and manufacturing experience of electrical wiring harnesses, Co-Operative Industries Aerospace and Defense has witnesses (and weathered) the numerous changes in the airline industry. The most recent economic downturn has had a profound impact on the airline industry and its supply chains. While this is an obvious statement, it is interesting to note that the relationships between OEMs and suppliers are in transition and are also being affected. In order to adapt to the new economic realities, the way in which suppliers and OEMs interact is changing. To assure mutual survival and future prosperity, there is a greater focus on teaming and working together, as opposed to the ‘silo’ approach which was prevalent in the past. Specific supplier strengths are being recognized and leveraged so as to reach the common goal of a reliable and cost-effective product. As OEMs rely more on outside services to reduce costs, those same outside services must learn to adapt to new attributes, methods and processes that enhance their value with the OEM. 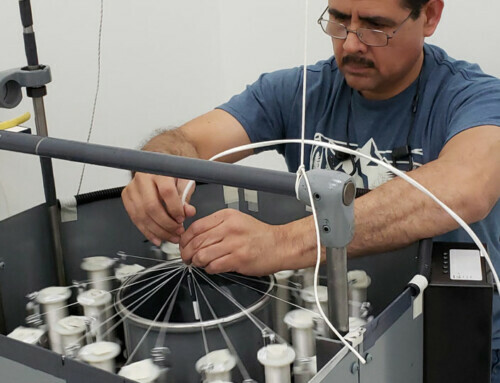 As designers, manufacturers, and certified repair centre for wiring harnesses, Co-Operative Industries has had a unique perspective on these changes over the years. The shifting of relationships is most evident in the following three arenas: manufacturing; repair station and MRO services; and the need for improved efficiencies such as automated testing. Co-Operative Industries started as a small, privately-held business that built a reputation as a company that could turn a ‘design parameter’ specification into a cost-effective, repeatable and easily manufactured electrical wiring harness. This type of relationship allowed the engine and airframe manufacturer manufacturers to continue at what they do, while the company provided a product that met their requirements and that they could rely on. These relationships were built on trust and years on interaction. The nature of manufacturing electrical wiring harnesses for the aerospace industry has changed considerably over the years. In the past, type certificate (TC) holders would supply a specification to a harness manufacturer requesting a design. Today, the TC holders have already designed the harness and are asking the manufacturer to ‘built-to-print’. This has created some unique challenges in today’s industry. Although the system integrators (the airframe and engine manufactures) are very good at building aircraft and engines and integrating their systems, they are some times removed from the latest techniques and materials used in today’s electrical wiring harnesses. Fortunately, companies with long-term relationships and expertise are willing to help this new methodology succeed. Wiring harness manufacturers are now required to add to their engineering staff in order to review these design packages. This presents an opportunity for knowledgeable suppliers to become even more valuable to their customers. In today’s environment of teaming within supply systems, there is a tremendous opportunity for a company to add value to its customer’s operation. This puts some manufacturers in the unique position to verify product design and, in many cases, offer an updated product. This trend carries across the entire industry to include commercial air carriers. With the challenges of today’s economy, many airlines have been forced to give up their ‘vertical’ capabilities and outsource more work to capable suppliers. 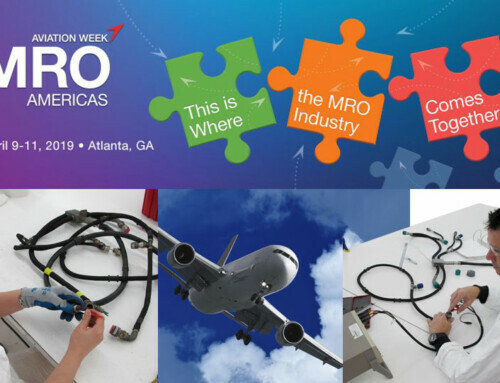 Another area where relationships between companies have changed is between airlines and maintenance, repair and overhaul shops (MROs). After 9/11, all commercial air carriers were forced to re-examine their operations to reduce cost. Most of the major carriers world-wide had traditionally maintained enough capabilities in-house to disassemble and repair aircraft. These capabilities extended all the way down to component shops (known as ‘back shops’) where airlines could test and repair discrete components. In the same way that aircraft manufacturers were vertically integrated, so were the airlines. Economics forced both aircraft manufacturers and operators to look at the way they conducted business. These ‘back shops’ represented a huge expense to the airlines and also presented a great opportunity to reduce cost. 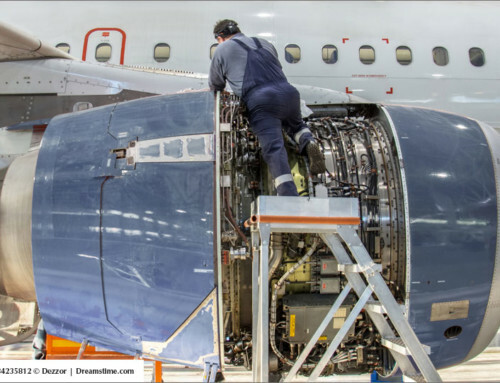 There are many companies worldwide that offer specialist capabilities in the accomplishment of various types of repair for many parts of an aircraft. Many major carriers started to seek-out these repair stations to examine the savings available and how such organizations could fit into their business plans. The idea was to maintain in-house capability for emergency use at an extremely reduced level, thereby reducing staff, inventory and other overhead expenses. However, they are still looking for the best value and there are many repair stations competing for this business. Some are FAA-, EASA- and CAAC-certified repair stations and others, such as our company, are manufacturers also. Certain companies are in the unique position of having the capability of developing repairs that are over and above those in the component maintenance manual (CMM). These repairs are then presented to FAA designated engineering representatives (DER) for approval. In almost all instances these newly developed repairs have extended the life of harnesses and introduced cost savings to airlines. This remains a highly competitive market and appears to be the way forward. Repair stations today are forced to compress their turn-around times and optimize their pricing in order to protect their customer base. Many airlines have come to grips with the loss of their in-house capabilities and now press their new outside partners to meet their demands. Companies that pay attention to their customers can find themselves in long lasting and prosperous relationships. The drive to wring out inefficiencies and improve throughput has always been an important part of any company’s strategy, but this initiative is even more critical in today’s environment. 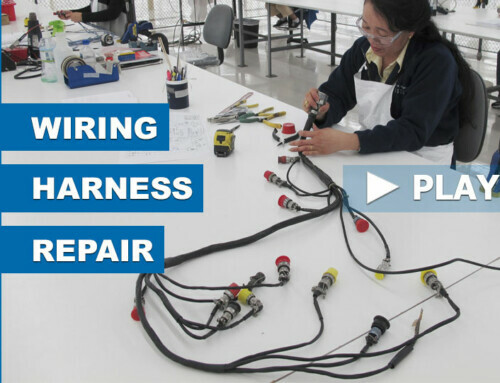 Wiring harnesses require a very hands-on approach and are therefore very labour-intensive. In the majority of scenarios, electrical wiring harnesses are very difficult to test, as is their removal at an overnight hangar visit, let alone on the flight line. However, there are circumstances that require just that kind of action. With this in mind, there has been an ever-increasing interest in portable and computerized test equipment. In recent years, small portable testers have been developed which have achieved some success when testing harnesses on the flight line. They have improved trouble-shooting and eliminated unnecessary harness replacements, thereby saving labour costs and aircraft downtime. Even in the environment of an engine shop there is a tremendous amount of labour cost involved in the removal of the electrical wiring harnesses from an engine fan case. The V2500 engine, for example, has few harnesses around the engine core, but the fan case contains harnesses with about 100 connectors spread over approximately eight harnesses. The removal of the harnesses for bench checking can take tens of hours, and this does not include the harness testing time itself. In recent years, ‘roll away’ computerized testers have been developed for engine shop use. These computerized testers are designed to conveniently roll-up to an engine and they have interface harnesses that connect easily to the engine/fan case harnesses. With the use of these customized test harness interfaces and engine specific software, accurate test results are obtained quickly and efficiently. Apart from the labour savings achieved by avoiding unnecessary harness removals, such testing provides confidence that a harness has passed the requirements of the CMM. This presented another opportunity for a manufacturer to add value to their customer relationships. Suppliers who can offer support services, such as automated testers, have the opportunity to improve the interaction between suppliers and vendors with results that benefit both parties. By simply listening to the needs of customers and applying their expertise, manufacturers have created a situation where all can benefit. These are the success stories all companies should strive towards. Co-Operative Industries Aerospace and Defense values the relationships it has built with its customers and has the experience and longevity to meet and exceed its customer requirements. It is continually seeking out challenges that will help our customers and industry succeed.